After doing the sweet and soft Lakeside Fairies, I felt like doing another fantasy kit – but this time for the boys! 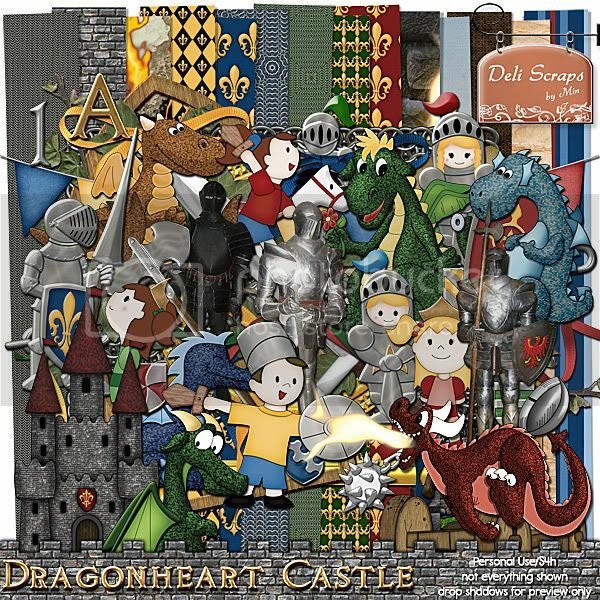 Presenting “Dragonheart Castle” – a wonderful magical place where most noble knights in shining armor live together with their dragon friends, protecting the country from the evil black knight. 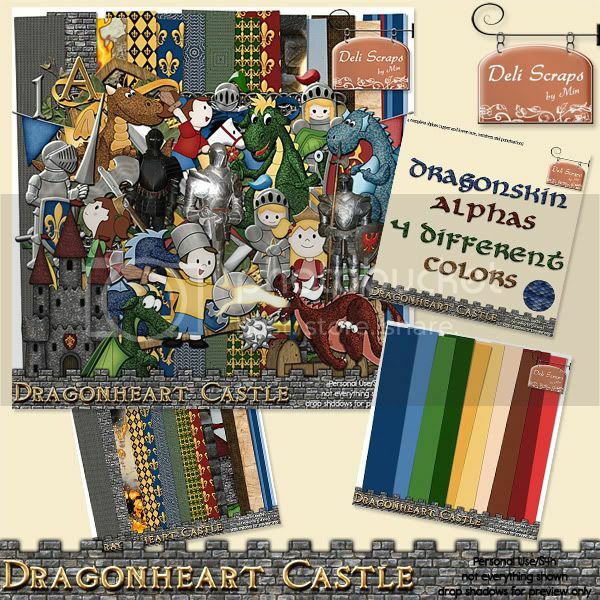 This kit will provide you not only with cute elements to scrap your favorite little hero but also gorgeous realistic textures and elements to help you create layouts for your favorite grown-up hero or your renaissance fair pictures or that visit to a medieval castle. There are some beautiful layouts already in my designer gallery – and if you feel like picking up a wonderful freebie QP, just hop on over to theStudio blog. 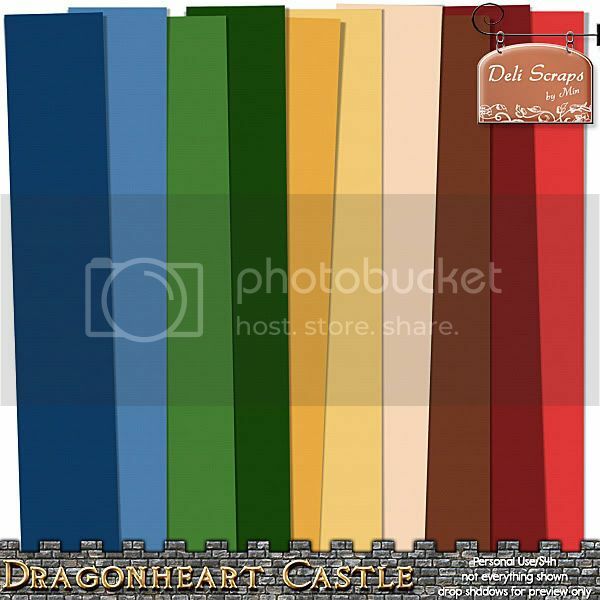 Toiny posted a great shadow tutorial with two freebies, the QP and a shadow style!